A guitar owned by influential bluesman Bukka White will return to the US after fetching £93,000 at auction. The 1933 National Duolian resonator guitar, named Hard Rock, was owned and played for more than 30 years by White. Bukka, born Booker T. Washington White, met then 24-year-old English photographer Keith Perry at a blues festival in Newcastle in 1967. In 1976 – a year before White’s death – he sent the photographer his prized guitar in return for postage and packing costs. 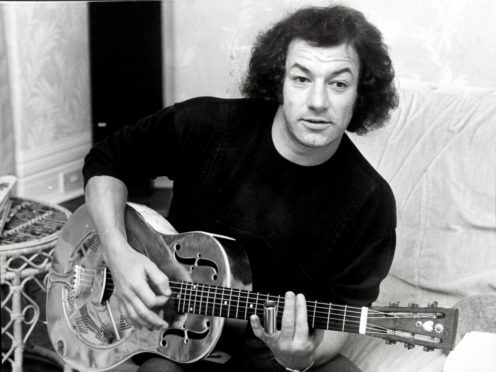 After its arrival in Newcastle, the guitar was played by the likes of Mark Knopfler of Dire Straits, Brian Johnson of AC/DC, and footballer David Ginola. Bluesman BB King – who was White’s cousin – also played the guitar and dubbed it a “holy relic”. In 2010, American blues singer and guitarist Eric Bibb released an album called Booker’s Guitar – recorded using the instrument. The guitar went under the hammer at Gardiner Houlgate in Corsham, Wiltshire, on Wednesday and fetched £74,000 plus a 24% buyer’s premium. Auctioneer Luke Hobbs said there was standing-room only in the auction hall as the guitar came up for sale. “I’m thrilled we’ve been able to sell such a distinguished guitar for a great price,” Mr Hobbs said. “This is a very niche item in guitar terms so we really weren’t sure what it would fetch. The vendor is delighted. The guitar, which features heart and sun-ray charms on the headstock, was sold to a collector in the US who was bidding over the phone. It came with letters from White, his guitar case with handwritten tag and some of his metal slides used for playing it. Speaking before the auction, Mr Perry said he was selling it after 42 years. “It was a great pleasure to know Bukka White as a friend and I’ve treasured his guitar for many years, but now feels like the right moment to pass it on,” Mr Perry, of Newcastle, said.